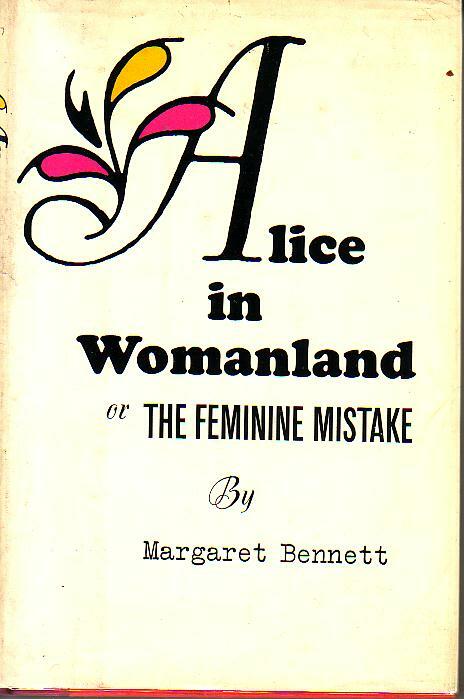 Alice in Womanland or The Feminine Mistake by Margaret Bennett: a pseudonym for Barbara Toohey and June Biermann. Published by Prentice-Hall, 1967. Hardback with dustjacket. A ‘satirical overview of the condition of the American woman’. There’s a nice little article about it here. Toohey and Biermann’s other books range from travel (From Baedeker to Worse) to sports (skiing and biking), but when Biermann became diabetic, they began writing about that (The Peripatetic Diabetic: Good Health, Good Times, and Good Food for the Diabetic Who Wants to Have It All). And when Biermann suffered a stroke, they wrote about the life and experiences of sufferer and carer (The Stroke Book: A Guide to Life After Stroke for Survivors and Those Who Care for Them). 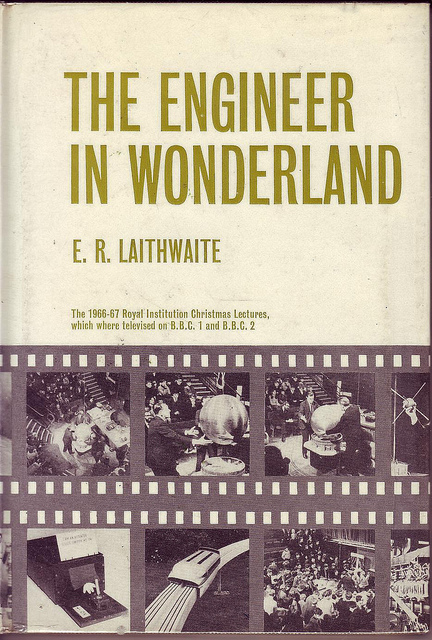 The Engineer in Wonderland: The 1966-67 Royal Institution Christmas Lectures which were Televised on BBC1 and BBC2, by E.R. Laithwaite. The first in Eric Laithwaite’s pair of RI Christmas lectures- the second (Engineer Through the Looking Glass) is here. Chapters include “The White Rabbit”: introducing the ideas of 2D worlds, mobius strips and ‘jumping rings’; “Only the Grin was Left”- magnetism and waves; and “If Only I’d Been the Right Size to Do it”- rotors, transformers and ‘goodness’. Alice in Wonderland illustrated by Ralph Steadman. Published by Firefly. The 47 amazing pen and ink illustrations were first published in 1967, but in this edition 2003. There are two prefaces from Steadman, one written in 1967 and one in 1986. I like the earlier one, explaining his decisions on how to draw the different characters.